We provide great value for our clients & we work hard to squeeze every lead out of your budget. We stand by our results, no long contracts, all our services are provided on a monthly rolling basis. Pay Per Click or PPC is a great way for small businesses to drive quality traffic to your business website and generate sales leads. Want to drive more sales leads to your business through SMS marketing? 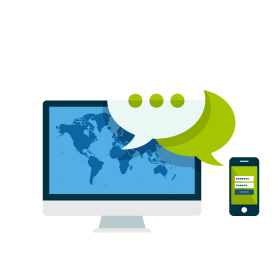 Check out the facts around SMS marketing …..